10 mg tablets are blue heart shaped tablets, sealed in bottles of 500 tablets. Methandienone comes in 10-milligram tablets available in Europe. Steroid Bay claims the drug has been available for decades. The suggested dosage is to take the steroid for four weeks and then begin injecting steroids on top of taking methandienone. A study published in 1981 in Clinical Science reveals leg muscles, performance and weight increased with daily 100 milligram doses over six weeks of training. Nitrogen and potassium levels increased significantly in the body during the study. Weight gain associated with methandienone was not normal muscle mass. 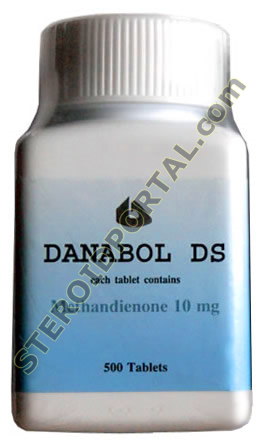 The anabolic steroid can only be given as a prescription in the United States, otherwise the use of methandienone is illegal in America. A schedule III controlled substance has a potential for abuse and is medically available in the United States. Such substances may lead to low-to-moderate physical dependence and high psychological dependence, according to the U.S. Food and Drug Administration.